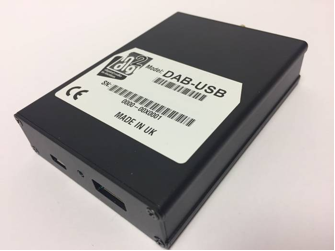 The DAB-USB product supports a USB data interface ultimately intended to work on many vehicles. The module provides a dc converted 12V phantom feed intended to feed an on-glass active antenna. Initially launched to provide a DAB aftermarket upgrade for Jaguar and Land Rover vehicles with the JLR ‘InControl Touch’ and ‘InControl Touch Pro’ systems from 2015 / 2016. General Vehicle platform compatibility will be detailed in a tested system matrix that is referenced under the Support Page. Disclaimer: Please note that if your vehicle’s system software is updated by your dealer then it is possible that it becomes incompatible with an already installed USB device. This is clearly out of our control and in2digi can not guarantee that it can or will produce an update.